New Pani Pink drape gown in georgette enhanced in antique embroidery only on Kalki. 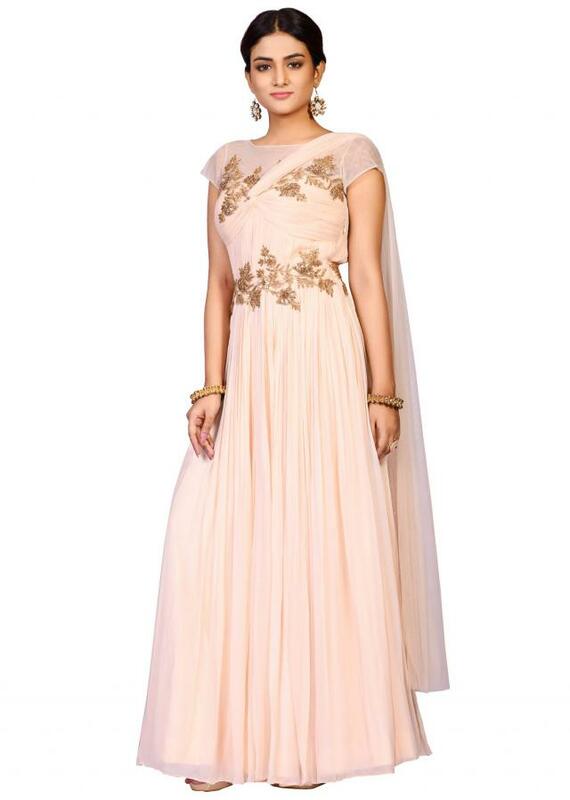 https://www.kalkifashion.com/new-pani-pink-drape-gown-in-georgette-enhanced-in-antique-embroidery-only-on-kalki.html 12364 New Pani Pink drape gown in georgette enhanced in antique embroidery only on Kalki. 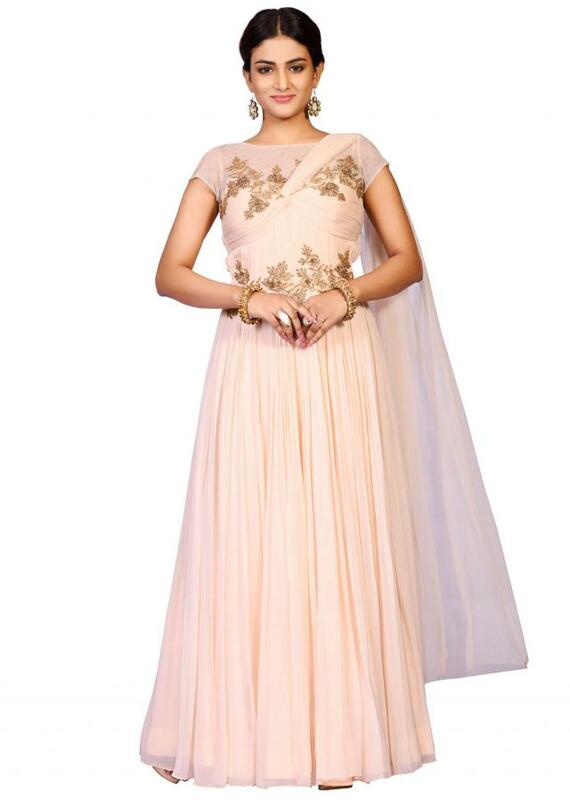 https://d8evit4zy2nlo.cloudfront.net/media/catalog/product/n/e/new_pani_pink_drape_gown_in_georgette_enhanced_in_antique_embroidery_only_on_kalki._-412375_2_.jpg 299 299.0000 USD OutOfStock /Gowns /Gowns/Evening Gowns /Sale /Gowns/Indowestern Gowns /Gowns/Party Wear Gowns /Gowns/Ready to Ship Gowns /Gowns/Drape Gowns /Sale/20 % AND ABOVE /Sale/Under US $500 /Sale/Gowns Sale /Gowns/Under USD 300 Gowns New Pani Pink drape gown in georgette enhanced in antique embroidery only on Kalki. 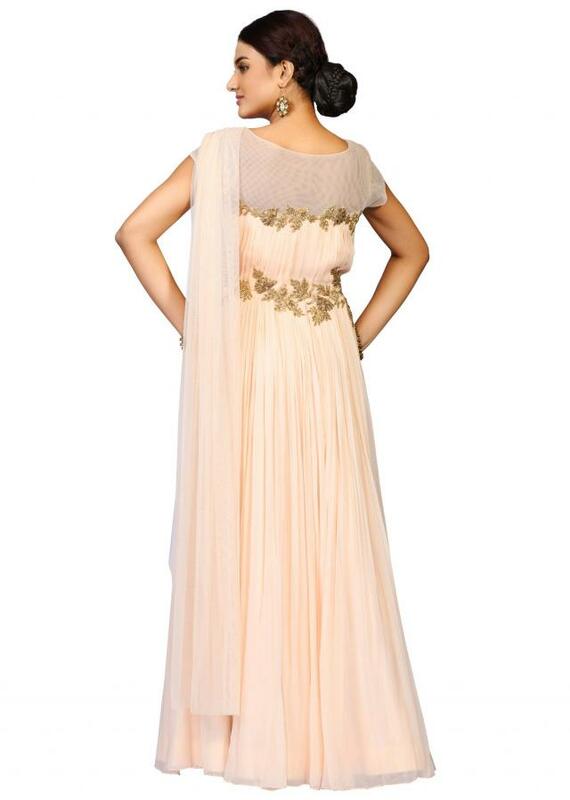 The new drape gown in pani pink color is featured in georgette fabric. It is intricately designed with antique embroidery work at the bodice. Accessorize it well and this outfit will just improve on a classic.